I've seen the memes, the gifs, the tweets and instagrams. I've read the think pieces, the Stan pieces and the Beyhive clapbacks. I've finally had the time to listen to Jay-Z's highly anticipated 4:44 album. There's plenty of things I've had to process one of them accepting HOV brought back the hyphen to his name. Okay, so this is Jay's response to Lemonade, my favorite Beyonce album. During the Lemonade era I questioned if Beyonce really was singing about her own marriage. She and Jay have been secretive about their relationship since the beginning, so I was skeptical that they'd let us in so much. But, then the tabloid stories surfaced and made me think...but still didn't believe this was true. I went to the On the Run tour post- elevator-gate and saw that the Carters seemed distant. Still, I thought it wasn't real life because- again- they don't tell us much about their lives. When B sang Resentment and hit the part where she sang been riding with you for 12 years I still thought she wouldn't throw her man under the bus like this while they're on tour! 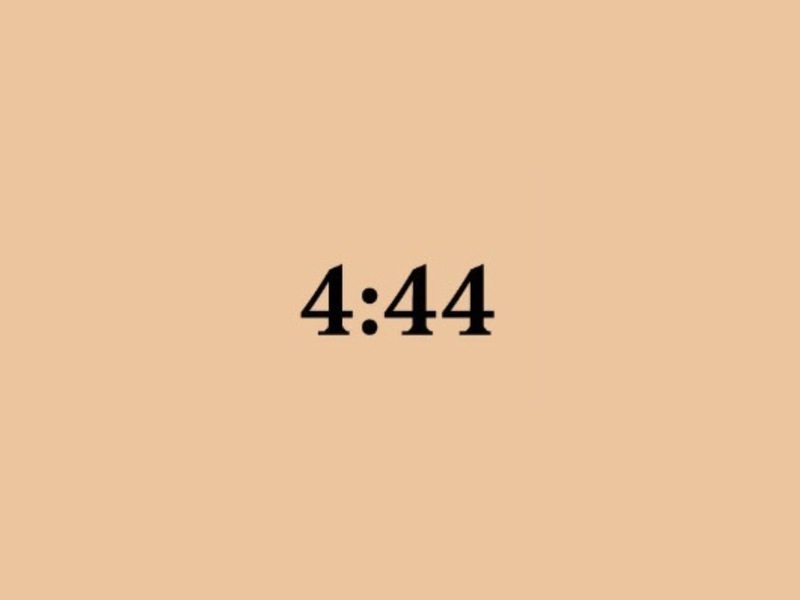 Well, here we are.....3 years and a set of twin babies later and we have 4:44 where HOV tells us hey, Beyhive...I cheated on your queen and...my bad. No wonder Solange beat his a$$! He mentions in Kill Jay-Z, "You egged Solange on, knowin' all along, all you had to say you was wrong." The album definitely shows Jay's growth lyrically. He's singing about his real-life now. How he's changed and matured, but I'm still pissed. Look, I'm obvi not in the Carters relationship (even though I'd die to be!) but it's interesting to hear how bad Jay treated Bey, yet she stood by him. Did he cheat on her while they were married? When they were dating? Was it both? Was she pregnant? WHY IS SHE STILL WITH HIM!? He mentions miscarriages, in the plural sense which makes me wonder if Bey had more than one. We knew the couple suffered the loss back in 2012 after Blue was born and Jay released Glory. In Family Feud, Bey is actually singing on the track. Reports state Mrs. Carter okayed all of the tracks before the album was released. I don't know what kind of therapy these two sought but it looks like it's pretty successful. But think about it, this couple has taken their painful moments and have turned it into a career game-changer for themselves....and have cashed in on the process. Turning lemons into lemonade. "But you ain't a Saint, this ain't KumbaYe, but you got hurt because you did cool by Ye / You gave him 20 million without blinking, he gave you 20 minutes on stage, (expletive) was he thinking / '(Expletive) wrong with everybody?' is what you saying, but if everybody's crazy, you're the one that's insane." Another element of the album that surprised me as others was Jay revealing his mother is a lesbian. In Smile he raps “Mama had four kids, but she’s a lesbian/Had to pretend so long that she’s a thespian. Had to hide in the closet, so she medicate/Society shame and the pain was too much to take." All in all, it's apparent Jay is learning from his mistakes and is growing and credits much to that to being a dad. The music fan in me likes the growth, but I'm a female and a die-hard Beyonce fan. I feel his "apology" to Beyonce and all of doesn't seem enough for me. You seriously have the baddest chick in the game and you played her? To quote Baddie Bey & Prince "you play me, you play yourself"